On her: Viscose zebra-print dress ($68.95), cork-soled sandals ($57.95) and sling bag ($34.95) from Seed Heritage. On him: Straw hat ($34.95), cotton poncho ($57.95) and chino pants ($57.95) from Seed Heritage; shoes are model's own. On her: Sequinned polyester blouson ($49.90), polyester ballerina dress with sequinned heart ($39.90) and polyester slip-on shoes ($19.90) from H&M Kids. 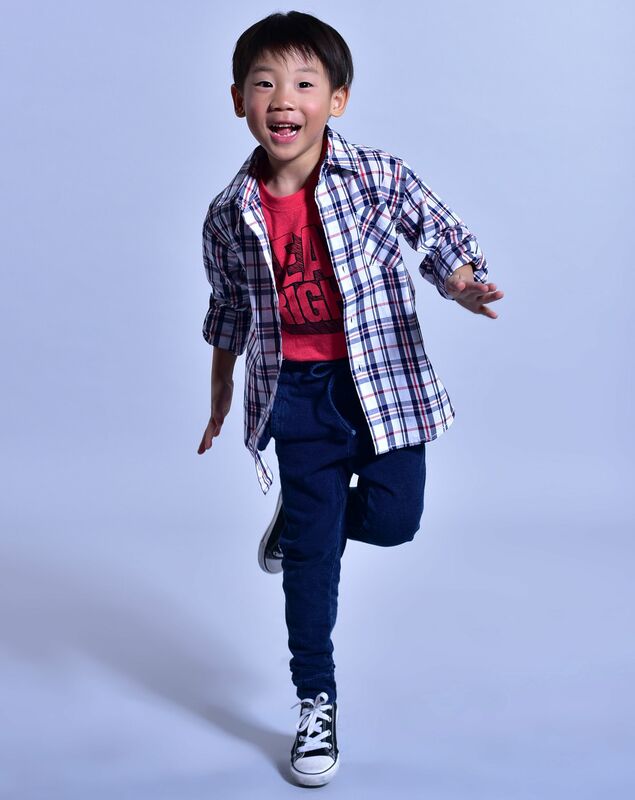 On him: Cotton T-shirt ($14.90), cotton plaid shirt ($39.90) and cotton jogging pants ($34.90) from Fox Kids & Baby; shoes are model's own. On her: Cotton peasant top ($50) and denim shorts ($40) from Gap Kids, and gladiator sandals ($29.95) from Cotton On Kids. 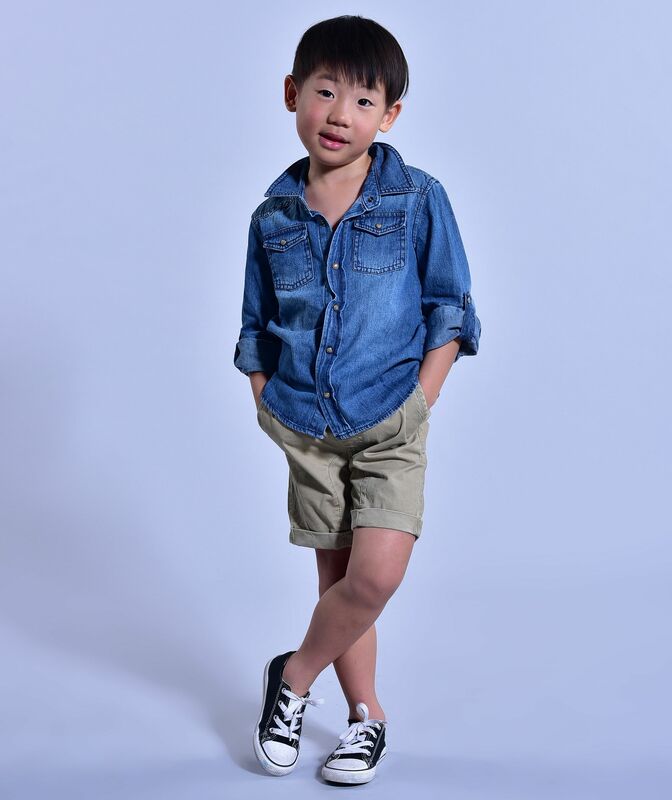 On him: Denim shirt ($34.95) and khaki shorts ($34.95) from Cotton On Kids; shoes are model's own. On him: Cotton blazer ($550), cotton shorts ($300) and cotton shirt ($230) from Hugo Boss from Kids 21; shoes are model's own. On her: Cotton poplin dress with tulle underskirt ($280 to $330) and organza flower hairband ($180) from Monnalisa from Kids 21; shoes are model's own.